Accidents happen. People get hurt, sick, or lost. The temperature drops, the wind picks up, and it starts to rain. Would you know what to do? Many backcountry emergencies are preventable, and even when bad things happen, sometimes the wrong care can make things worse. By learning a few basic skills, you can make the difference between a good outcome and a bad one - and maybe even save a life. For anyone living in the greater Portland Oregon area, this is a great opportunity to take the Wilderness First Aid course. Who is the WFA for? 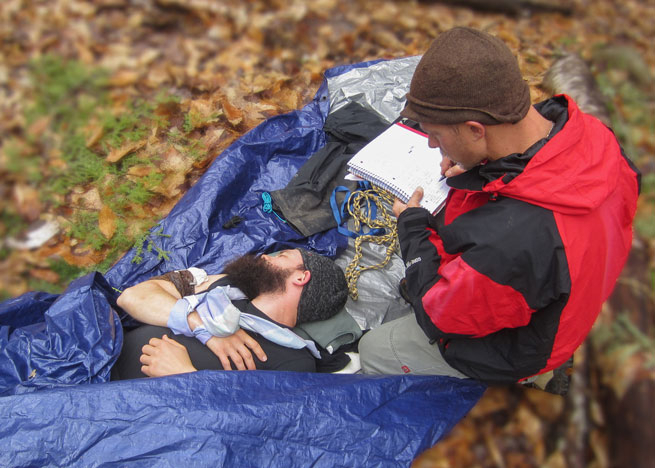 Wilderness First Aid (WFA) is the perfect course for the outdoor enthusiast or trip leader who wants a basic level of first aid training for short trips with family, friends, and outdoor groups. It also meets the ACA guidelines. The WFA is 16 hours long (two days), and focuses on the basic skills of Response and Assessment, Musculoskeletal Injuries, Environmental Emergencies, Survival Skills, Soft Tissue Injuries, and Medical Emergencies. For more information, visit: soloschools.com/.